To create an effective gym workout plan to help you melt that fat and build a lean & toned body with your gym membership! No online coach required, and no personal trainer required. I have you covered! Even though I am both an online transformation coach, and a personal trainer, I want everyone to be able to benefit from my expertise. And online coaching and personal training aren't accessible to everyone. I didn't grow up rich. I grew up the opposite actually, and I didn't want cost to be a barrier to anyone who wants to transform their health and fitness, as well as their body so they can feel confident in their own skin. So consider this my gift to you if you fit in this category. If you already know all about the program and want to invest in it, CLICK HERE. THE ULTIMATE BEGINNER GYM WORKOUT SOLUTION​ is the well, ultimate solution! With my program, you get the convenience of knowing exactly what to do in the gym. No more second guessing yourself or copying others. 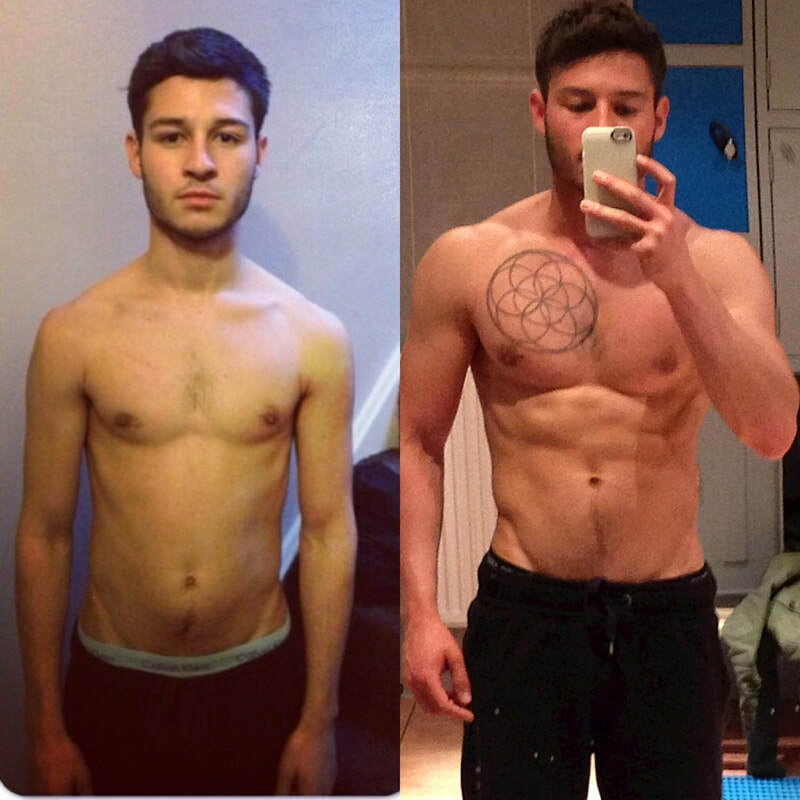 Instead of just going to the gym and making up your routine on the spot, you'll get my exact template I've used on my personal training clients which I've perfected over the last six years. When your workout's are convenient, it's easier to stay consistent. Combine consistency with a well-designed strength training workout plan, and you'll have to perfect formula for losing fat and building an amazing body. You'll need a pretty decent gym stocked with dumbbells, barbells, machines, pull up bars, dip bars and cardio machines! This program is for MEN! I've created a men’s and woman’s version of this program, so if you're a woman, you're on the wrong page, you should click here. Reason being, there’s not a whole lot of difference in how women and men should workout. Not in the beginning anyway. If the goal is building a lean & toned body, then both should focus on building strength and muscle. The main difference is that the male program focuses a bit more on the whole body (specifically direct arm work) whereas the female program focuses more on lower body & booty exercises. The thing is, the more advanced you become in your training, the more you're training must become specialised. You'll need to work harder by doing more volume (sets), you'll need to focus more in the lower rep ranges (6-10) as well as the higher rep ranges (10-30). For example, If your goal is to maximise your muscle building results, you’ll eventually want to move to barbells and heavy compounds movements. Thing is, diet is very individual, and trying to give a one-size-fits-all nutrition plan for everyone would make me feel super crappy because I know most people couldn’t/wouldn’t follow it. My online coaching and personal training clients get individual nutrition plans. But don't worry I have you covered. Something I learnt many years ago was you have to provide any client you work with, with all the tools to succeed. So yes, you will be provided with my 7-28 Shredding plan which is a scientific rapid fat loss plan, designed to strip off as much fat off you as possible while maintaining your muscle. Clients who use this, on average lose as much as 2-10 kilos (5-20 pounds), in only 7-28 days. I warn you though, it's a brutal diet. Its not for the weak minded, and comes with a full disclaimer. It is however, the most effective way to get in shape. This is because research shows those who lose the most weight in the beginning of their programs, lose the most weight overall and keep it off. It is optional, and is the best diet for losing as much weight as possible known to man. I'm not kidding. I couldn't just leave you with the 7-28 shredding plan however. That would be dishonest of me. It is only a temporary diet meant to be used for a maximum of 28 days. And if you don't have a follow up diet, you will just regain the weight back as you will binge. Even I would. That's where my guide to flexible dieting and 14 day No Refunds Fat Loss comes in. These guides teach you the benefits of flexible dieting which is where you eat 80% whole foods, and 20% whatever you like, including cakes, chocolates, crisps, insert your favourite delicious food, etc. The 14 Day No Refunds Fat Loss course will teach you how to work out your calories for your bodyweight, as well as the correct amount of protein, fat, and carbs to eat to MAXIMISE your results. Its super important you use these guides to carry on losing fat so you don't go backwards and binge. The problem is, many times, we start something, slowly lose motivation, and then quit before real change starts showing. Like I said early on, the primary goal of this program is to make exercise simple, convenient, and something that fits easily into your busy schedule. Oh, and he did it using nothing more than this workout program and nutrition advice. Jessie didn't need to use the 7-28 shredding plan as he didnt need to. He did this with only three 30-60 minute workouts per week! Louis and I started working together right at the end of his breakup with his girlfriend. He wanted to transform his body so he could show her what she's missing. Louis was a busy chef, so didn't have time to go to the gym much more than 3-4 times per week. 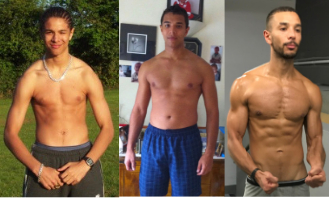 Despite the heavy workload, he was able to shed body fat and build muscle with this program. To continue the story; on the off chance, he saw his ex girlfriend; she was still out of shape, he was in great shape, and she begged him to take her back. He politely said no thank you! Will this program provide direct support from you? Unfortunately, no! As a fully booked personal trainer and online coach, these clients are my first priority and have 24/7 access to me. They do pay a premium after all. This leaves me with very little time to provide support for others. But don't worry, this is the best do it yourself program (DIY) on the internet. Does The Ultimate Beginner Gym Workout Solution Sound Like Something For You?